Affordable virtual reality is here, but you get what you pay for. Is there such a thing as View-Master street cred? Probably not. But I am a long-time View-Master user. Well, to be clear, I used a View-Master when I was a kid. I haven’t been using one the whole time since. That would be weird. I have, however, recently become re-acquainted with the original as well as with View-Master’s current virtual reality (VR) offering. Last summer as my parents were packing to move out of the house I grew up in, one of the items my mother found and sent to me was my old View-Master and all its disks. If you never experienced one of these, it was a stereopticon—a 3D viewer—which has had a long and storied history. The brand is now owned by the toy company Mattel, which is ushering it into the VR era. 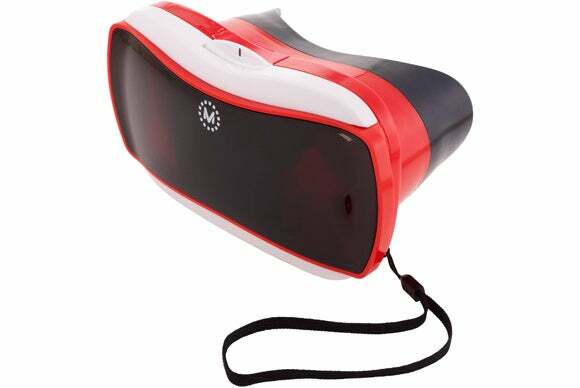 Indeed, the View-Master Virtual Reality Viewer is the logical evolution of its 3D ancestor. 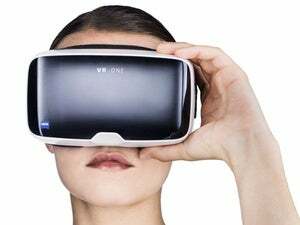 It’s reasonably priced—the Apple Store sells it for $30, but it’s available from Amazon for under $20—and, because the viewer is based on Google Cardboard, there’s a variety of compatible content available. At the same time, a few things detract from the fun. 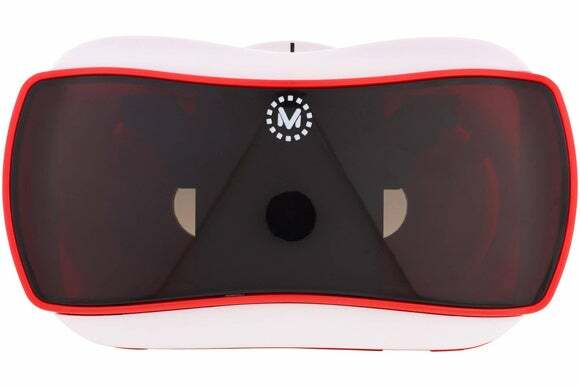 The View-Master VR requires iOS 8 and above and works with the iPhone 5 and up (although they note apps might not be optimized for the 5 and 5c) as well as a number of Android phones. All the really heavy lifting is, of course, done by the phone. The viewer is really just a holder with a set of lenses that better separate the two images the apps present so each eye gets one. The device is nicely packaged and comes with a brief instruction manual and the Preview Reel, which is ostensibly for unlocking preview content. 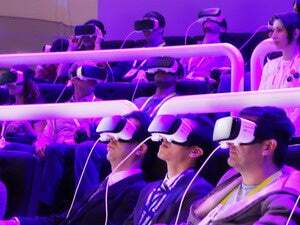 I had a little trouble getting ushered into our new virtual reality future early on. The instructions indicate you should put your phone in with the top “to the left.” That’s helpful... if you know which way the viewer is supposed to be when doing this. The instructions neglected that detail. For the record, it’s with the lever to your right, even though the image shows the front of the viewer. But, hang on. Before you close it up, you’re going to need some apps. View-Master has three of its own—Space, the travel-related Destinations, and National Geographic Wildlife—that you can download for free. Each features content to try out, with additional content you can unlock for $15. One of the first things the apps do is ask for access to the camera and photos. The reason is so the app can scan the QR code on the View-Master VR to determine which viewer you have (some apps from other creators simply ask you). The instructions also tell you to start the app by looking at the Preview Reel through the viewer and doing so in the app overlays a virtual menu of sorts onto the Reel. The Preview Reel is Mattel’s nod to the View-Master’s roots, but if you lose it you can still access the preview content through the app’s menu. The other nod is the lever, which is simply a switch that forces a rubber nub to tap the screen of your phone inside the headset, used to indicate a selection, to move in a certain direction, to fire in a game, etc. Overall the viewer is reasonably well put together. It’s plastic so it would probably break if it fell off a high table, but it doesn’t feel flimsy. I had thought maybe the lenses and some image trickery within the apps could widen the field of view, but it is not panoramic; your view is restricted to what’s in front of you -- nothing in your peripheral vision. Turning your head (and body) around reveals the full 360 x 360 degree virtual environment. The images in the View-Master apps blur slightly when you turn your head, something I did not find true of all the Cardboard content, other than Google’s app deliberately blurring faces in crowd scenes, just like on Street View. That’s understandable but does remove you a bit from the “reality” part of the virtual reality. I spent the $15 on the Destinations app and unlocked a number of additional sets of VR images of (mostly) places I’ve never been. That’s pretty neat, but as someone who spent a fair amount of time in the 1990s looking at QuickTime VR videos (such as Star Trek: The Captain’s Chair), I was somewhat underwhelmed by the static nature of most of the View-Master content. You can stand in front of the Acropolis, look around and access information on it, but there are no people milling about, there’s no movement of any kind. Likewise, Google Cardboard app’s tour of Paris around the Eiffel Tower is basically indistinguishable from Street View. The Space and National Geographic apps have some computer-generated elements that are in motion, but nothing live. 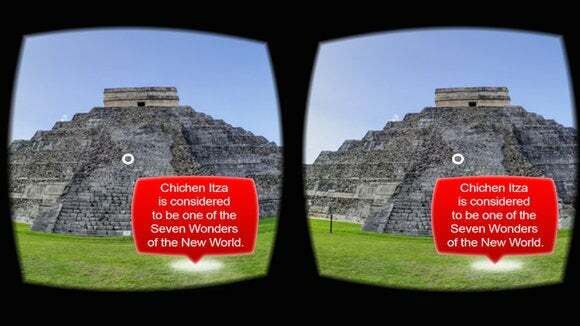 View-Master Destinations provides VR visits to the ancient Mayan city of Chichen Itza. The viewer has a wrist strap but no head strap, so you have to hold it up to your face the whole time you’re using it. That didn’t turn out to be much of a problem for me because I found I couldn’t use it for very long without getting nauseated. This isn’t the fault of the viewer so much as it has been my personal experience with all VR-type environments going back to the old Star Tours ride. Don’t necessarily let this sour you on our virtual reality future, as it seems to be the luck of the genetic draw and most people do just fine with it. My understanding is that smartphone-quality VR may be partly to blame and higher quality headsets alleviate the effect. We’ll just have to wait for the prices to come down. My wife, who is far sighted, said she found all the pictures to be blurry (using the viewer with glasses is impractical). The next version, due this fall, will reportedly come with a focal adjustment wheel, as well as a cutout for a headphone cord, something that would’ve been useful to have in this version. VR is really all about the content, and before you reach for a Jackson, you may be asking yourself “Wait, is there a Flappy Bird clone for this thing? Because I’m not buying it if there isn’t a Flappy Bird clone.” Don’t fret, of course there’s a Flappy Bird clone. Even your run-of-the-mill Android-based toaster-fridge has a Flappy Bird clone. Not only that, there’s also a Cardboard-compatible Crossy Road clone, which has the singular virtue of teaching you why the real game has more of a head-down view (turns out it’s impossible to see around those trees at street level). Please note that I’m not recommending these apps, I’m just telling you they exist and are free to play. If you want a game that makes better use of the technology, Vanguard V is also free. The graphics are decent, it’s challenging enough and, while I found it a bit difficult to control and lacking in any diversity of play, it’s the kind of game you might expect a VR system to have. It’s a bit disappointing but probably not surprising that the most well-put-together content I found was the Sports Illustrated Swimsuit app. 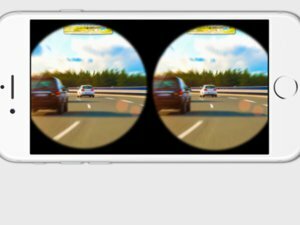 The image quality is high, and unlike many of the other apps, the VR content is all video. The subject matter is regrettably less educational than some of the other options, but what Sports Illustrated got right was putting things in motion. As the model shows you, yes, she is wearing a skimpy bathing suit, and as is de rigueur for the genre, the tropical wind blows through the palm trees to your right and waves crash on the shore behind you. In some instances they make further use of the medium by putting models or even the crew behind you so there’s more for you to turn around and look at. This is the kind of experience I was hoping for, even if it takes longer to download, takes up more storage space on my iPhone, and makes me feel like yet another predictable cog in the great wheel of the straight male industrial machine (although I did not pay for the extra content). It’s probably poetic justice that even that app was making me nauseous. Still, I hope VR producers learn from Sports Illustrated’s technical example. While VR content is currently an extremely mixed bag, the View-Master Virtual Reality Viewer is a decent enough option if you’re eager to dip your toe into the pool in which we will all one day be immersed. The Viewer is a bit rough around some edges, but it’s priced to appeal even to budgets more suited to its ancient 3D forebear.